Booking photo of Brandon n. McGlover, 32, of Temecula, who was arrested in relation to Cranston Fire in Idyllwild. A 32-year-old Temecula man was charged Friday with intentionally starting nine fires, including a wildfire that has burned at least five homes and forced thousands to evacuate in the Riverside County mountains. Brandon N. McGlover was arrested Wednesday near Newport Road and State Street in Hemet, not long after the start of the Cranston fire, which grew to 11,500 acres Friday morning. 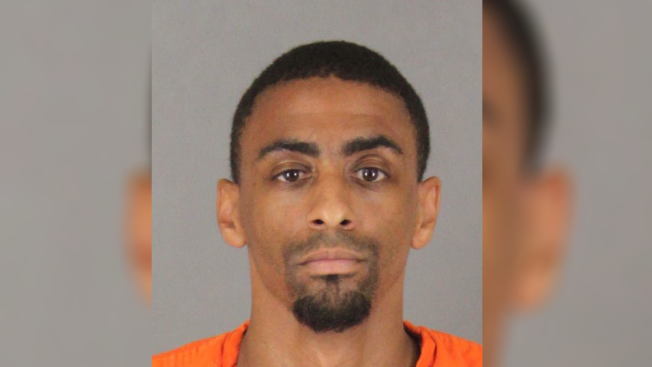 McGlover is suspected of setting multiple fires in southwest Riverside County, including the destructive fire in Idyllwild. He faces 15 felony counts, including one count of aggravated arson, five counts of arson of an inhabited structure, and nine counts of arson of forest or wildland. Arraignment is scheduled for Friday afternoon. It was not immediately clear whether McGlover has an attorney. About 6,000 people are under mandatory evacuation orders Friday due to the wildfire burning in hot and dry conditions about 100 miles southeast of Los Angeles. The fire continues to threaten about 4,900 buildings. Gov. Jerry Brown on Thursday issued a state of emergency in Riverside County, which clears the way to provide needed state resources. The fire started Wednesday afternoon off State Route 74 in the forest southeast of Riverside and rapidly spread through mountain communities.